Bill Bolton Arena offers hockey camps for house league/select players between the ages of 7 and 14. Our camps put the emphasis on FUN. Your kids will not only learn how to play the game but they will learn to love the game. Summer Hockey Camps AVAILABLE NOW! Bill Bolton Arena offers week-long day camps throughout the summer. Our camps feature FOUR hours on-ice per day as well as a host of fun off-ice activities to give your child a full day of fun! Have a child age 4-6 itching to start their hockey career? Try our Hockey Mini-Camp. A week of 1.5 hours of ice time per day will get your Junior Sidney Crosby their first taste of hockey. 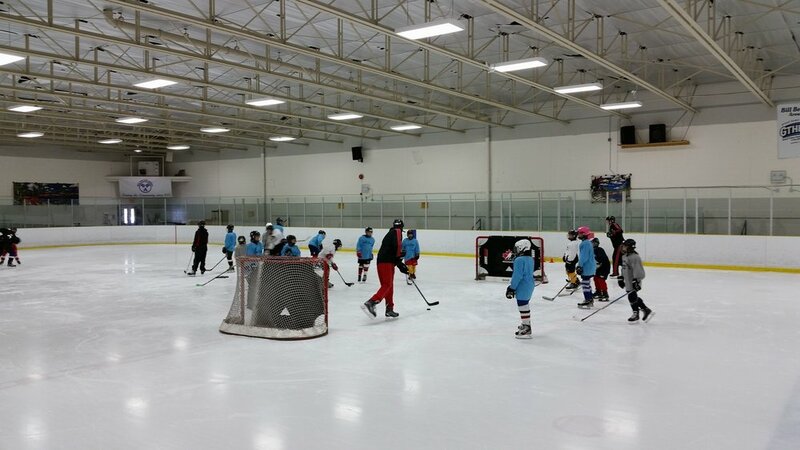 We teach skating, basic puck handling and shooting skills with the major emphasis on FUN! Classes run 11am-12:30pm. This is NOT a full day camp.